There’s a funny quote rounding on Internet from sometime – “The best place to hide a dead body is page 2 of Google search engine results”. A joke, but to be taken seriously by businesses who really want to stand out in search results! When 75% of people on Internet never scroll past the first page of searches, ranking on the second, third, or fourth page would do no good. You won’t get the clicks and traffic for the time and money spent on SEO. 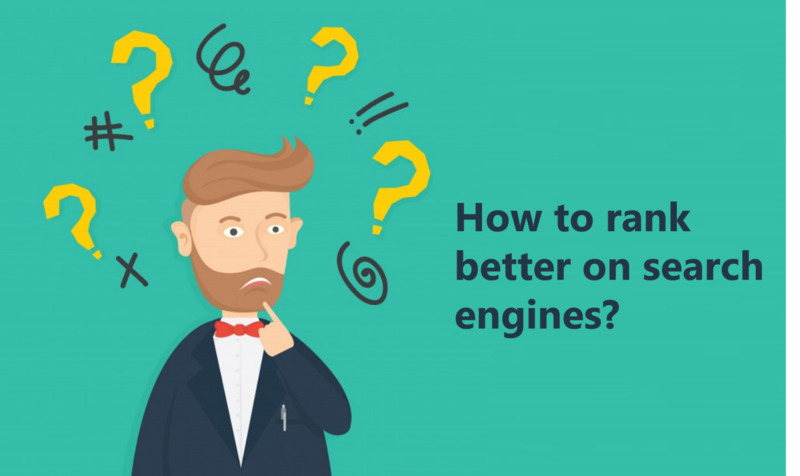 Luckily, there are ways to optimize your website, which can boost up your ranking on search engine results pages, providing opportunities to generate good traffic and increase your conversions. Justifying time and money spent on SEO! Already 55% of teens and 40% of adults use voice search every day, plus it’s projected that by 2020, 50% of the searches will be voice based. (According to Location World). Voice activated search is growing rapidly as a result of voice recognition apps used in mobile devices and home speakers. It is easier and faster to search for things even when at home or on-the-go. Text-based searches are normally approximately 2 to 3 words long, while voice-based searches can be longer than 10 words. Also, voice search queries are often in the form of a question, like “how to make a chocolate cake?” rather than “chocolate cake recipe”. Use questions as headers in your content and answer those questions there. Using natural and long-form language and questions throughout your content. As more your keywords match with user searches, the higher you’ll rank. With its rising popularity, video is no longer just an option– it’s a MUST both for providing your users with content that they want to see plus keeping search engines happy. Google greatly favors websites which feature videos. Websites that publishes good-quality videos regularly often outrank those who do not, according to Google. Have a strong video presence on multiple channels, including YouTube, and you’ll definitely notice a difference in your SEO rankings and website traffic. Google’s latest research shows that the chance of a bounce increases 32% when the page load time goes from 1s to 3s. 1s to 5s increases the chance to 90%. Search Engines take page-loading speed seriously into their website ranking algorithm. Also, slow loading would affect your users’ dwell time, increase your bounce rate and decrease the number of pages browsed – all of which can hurt your SEO ranking. There are many solutions to increase page load speed, which include enabling browser caching, ensuring that the code is clean and streamlined, optimizing images and CSS, reducing the number of plug-ins on the website, keeping scripts below the fold, minimising redirects, etc. When talking about website, your URLs are the first thing Google and the users will see. Developing a great website with amazing content and graphics does not promise desired traffic or search visibility. It has to be easily accessible both by users and Google. It’s crucial for Googlebot’s spiders to come to your page, read the content that is in a text readable format, understand images, videos, and embeds, on the page in a way that they are able to put into their web index. Without which, none of the stuff matters. SEO-friendly URL should be easy to read, static, keyword-rich, consistent across the site, the number of redirects on your domain should be as less possible, and create an XML sitemap containing all of the URLs that you want to rank via SEO. In July, Google’s algorithm will change so that slow-loading mobile sites will suffer the consequences. Mobile accounts for more than 52.2 % of all web traffic, increasing from last year’s 50.3 percent. With change in its algorithm, the search giant is expecting to accommodate this rising trend. When ensuring a mobile-friendly experience, pay attention to font size and button size, create a harmonious content view experience across all devices, use responsive design, use high resolution images that look good on high definition mobile screens. Improving your ranking in search engine results doesn’t have to be a complicated feat. Take help from the tips shared above or engage with an experienced SEO company to experience better results from SEO. These agencies keep tabs on the recent changes in search engine algorithms, and partner with you to understand your business, audit your website, suggesting optimization techniques contextual to your business, keyword research and relevance, link popularity among others. With all the right mix of strategies, you can achieve better visibility in search, and thereby conversions. Next story What is Click -Through Rate and Why is it important? Previous story Search engine optimization (SEO) – What is it all about?